Summer isn’t complete without spending plenty of time with friends and family. The next time you have guests over, Dr. Van Treese has some simple tips to make sure nobody leaves with a dental health issue! Keep you and your guests hydrated. Water is not only crucial for keeping harmful bacteria from damaging your teeth and gums; the summer heat can be very dangerous if you’re not careful. Don’t chew on ice cubes. 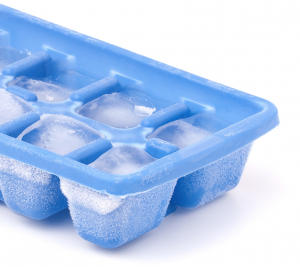 Chewing on ice cubes can do a lot of damage to your teeth. Avoid purchasing sugary snacks, and instead, buy something that is good for your overall and dental health. Things such as vegetable trays and fruit are great for a summer party. Don’t use a toothpick to remove stuck food. Toothpicks can easily poke your gums. Instead, purchase a pack of dental picks that you and your guests can use if needed. If you’re in the Sidney, OH area and need a dental check-up or have any questions, we welcome you to schedule an appointment with Dr. Van Treese today!